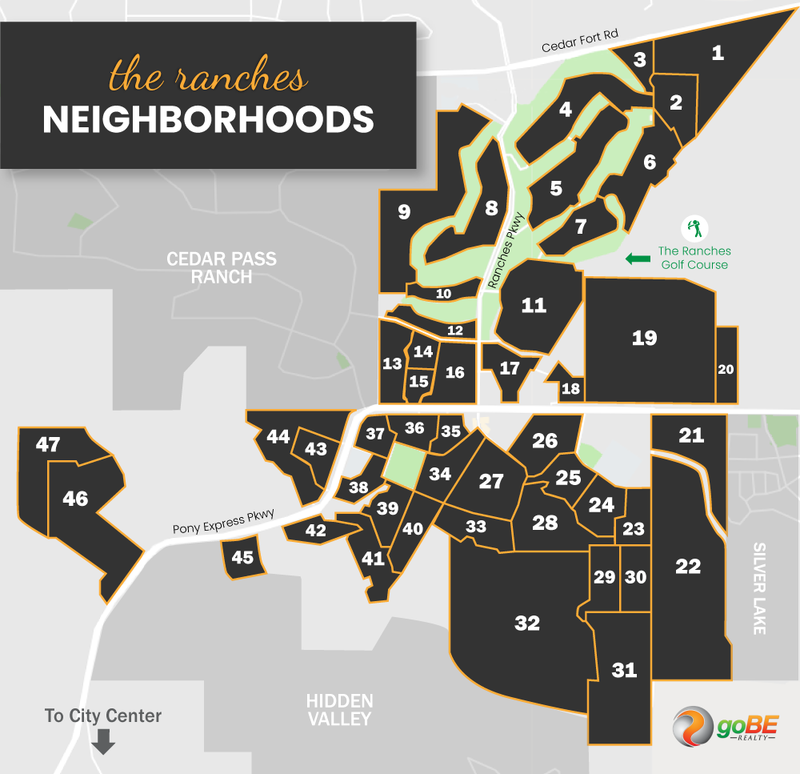 Within the Ranches at Eagle Mountain, there are 47 neighborhoods—each with distinctive characteristics. Using the below map, you can find info for each of these neighborhoods and the homes that are currently for sale. At the bottom of this page, you will find sections that detail the following—single family home neighborhoods, townhome neighborhoods, and condos. Additionally, we've created lists for the most popular areas and new construction neighborhoods at The Ranches. Highland on the Green - Single-family homes right on the golf course! Eagles Gate - The largest community on the golf course. Porter's Crossing Town Center - New homes next to shopping center and easy accessibility. Evans Ranch - Large master-planned community of brand new homes. Kiowa Valley - Large established community of single-family homes. Skyline Ridge - Large and off the beaten path new home community. Lone Tree - The Ranches' westernmost community of affordable single-family homes.